You’re not alone. 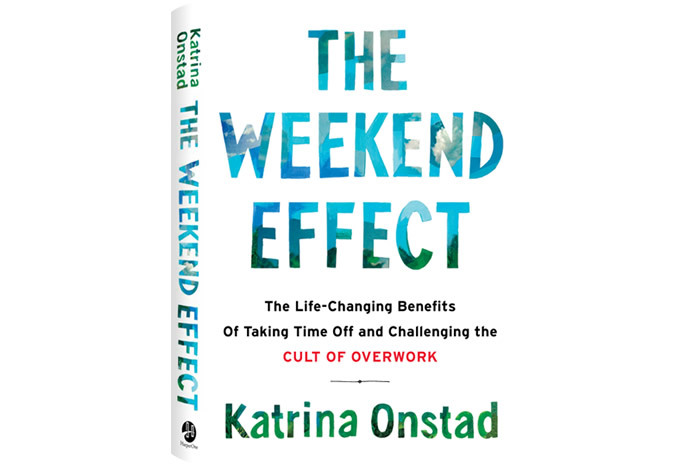 After constantly wondering why her weekends seemed to be almost non-existent, Katrina Onstad began her own research. As she dug further, she realised that this feeling was almost universal. The product of this research is this insightful book, The Weekend Effect. Filled with rich research and stories, as well as her own struggles, Katrina takes us through the negative impact that losing our downtime has on all areas of our lives. She shows how some people and companies are already taking steps to eliminate the relentless 7-days-a-week availability that modern working life seems to require. Not anti-technology, rather this is about a return to the ritual of weekend. Her crazy idea: take off a couple of days every week and relax. Don’t cram them with frantic shopping, desperate playdates or work emails – and certainly don’t make them the same as the other five. You can get a copy of the book on Amazon. And please check the book review section of our website for more inspiration for your summer reading!